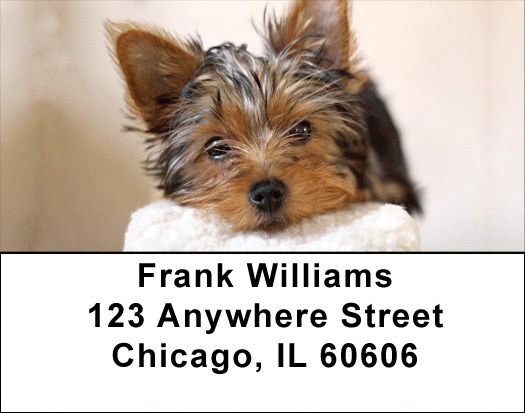 "Yorkies Address Labels" product is already in your cart. Yorkies Address labels featuring shaggy haired mustached Yorkshire terriers will melt your heart. These terriers developed in the 1800s in Yorkshire, England which is where they got their name. Yorkies Address Labels are self adhesive. Matching checks are also available.